Selecting the pediatrician who will care for your child can be nerve-racking! You are entrusting your child’s health and well-being to a professional who must be an expert but also remain sensitive to your child’s needs. At Sun Country Pediatrics, we specialize in modern medicine with an approach that’s fit for kids and their families. How are we different? When you interact with our Doctors. Nurse practitioners and staff you can really see how much we care about children and their health. From the kid-friendly office to the way we talk to kids, and share information with parents, our approach assures you that you've chosen pediatricians who are working in the right field! We participate and sponsor many kid related activities in Hernando County. We also have an education initiative, Healthy Minds to reward kids for achieving the honor roll in school. The Healthy Minds program also grants money to local schools for educational classroom needs. Getting the health information you need, finding time to get to an appointment, and wrestling with health insurance – we know all these things can be difficult for parents. We make it as easy as possible, with an after-hours emergency hotline answered by our physicians or nurse practitioners, easy appointments and convenient location, and a billing office that works with you to iron out insurance hassles. We even dispense some medications at our office so you don't have to wait in the pharmacy with a sick child. Our doctors and staff are hands-on. We dive into every case and try to learn everything we can about a situation to fully treat patients and prepare parents to handle issues. The more information parents can provide upfront the better, so that we can look at the big picture and map out a comprehensive plan for how to move forward. We help kids and parents feel comfortable. The simple act of kneeling down and making eye contact – our doctors know how to put kids at ease right away during every appointment. We also have a certified lactation consultant with years of personal experience who will work with new moms and help them with breast feeding counseling. 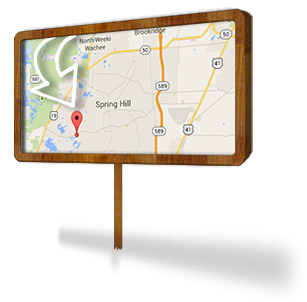 Take a tour of our office and meet our doctors and staff to get to know us better.